In 2009, my husband decided to make a huge step and take over his step father’s business. Owning your own small business can be a daunting and scary adventure to undertake. It can also be incredibly rewarding. My husband runs a small landscape maintenance company. In Arizona, this means he works all year round, and even in temperatures over 115 degrees. He does routine trimming on trees and bushes, grass care, fixing of water lines and sprinklers, planting…the works. He knows each and every one of his customers, what their tastes are and even what’s going on in their lives. He often works for elderly people, and has called me, heartbroken, when one of his customers has died. His customers are his family. We even exchange Christmas cards with them every year. My husband’s company, like many other locally owned and operated businesses, are an incredible asset to our community. Check out these five benefits of hiring locally! Local businesses serving the community means less travel. Less travel means less vehicle emissions. Local businesses usually also use other businesses for supplies, so they won’t travel too far. Every bit we can do to help reduce vehicle emissions, and even traffic in our communities is a plus! Local businesses want their communities to succeed. It often becomes a family feel with small businesses. A local restaurant here in our town (by the way best food ever) knows exactly what I want to order. They also volunteer for school events, host restaurant nights and catering teacher lunches. When my husband needs his equipment repaired, he heads right to a local shop within blocks from our home. He also frequents two local garden shops to purchase his plants. They are cheaper than the big box store, and because they are local, they know what plants will do better in this climate. When you hire locally, you can literally ask your neighbor what their experience with the company has been. I belong to a Facebook swap site, and often people ask for recommendations for businesses. I was able to find an amazing cake decorator for my daughter’s first birthday because of recommendations. That cake was better than any cake I could have bought at a grocery store, and it was beautiful! When you purchase good or services locally, the taxes you pay stay right in your community. Local businesses then turn around and spend money in the community as well. It’s a wonderful circle! A great resource to connect with local businesses and services or, to help promote your own business is EZBZ. EZBZ is an unbiased social marketplace that directly connects consumers with local businesses and services. 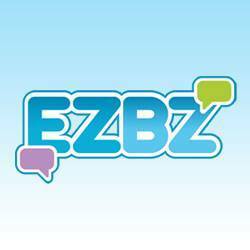 EZBZ is a online service for businesses and consumers. It’s free for consumers to use! 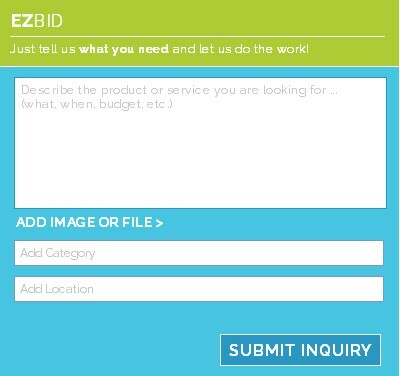 A user can create an inquiry for any product or service and send it all relevant businesses who can reply with price, availability and pictures. Businesses can also post deals and specials they have available in the area. Businesses will not pay anything to receive leads, and only pay $1 to respond, making EZBZ the most affordable solution for local businesses! You will have access to tons of vetted local contractors, from drywall contractors to dog walkers, salons to even clowns. The site is super easy to use, just plug in what you are looking for and let EZBZ do all the work. The businesses will come to you, and you will be able get responses and quotes without leaving the couch. I love not having to drag all the kids around with me from place to place. Definitely something I will be using in the future! I’m going to make sure I add my husband’s business, it will be so much easier for him to do bids if customers can just send him pictures. It will save him time and money on travel. You can access EZBZ online or even download the app from iTunes or the Google Play Store. Check them out today! We shop local where we can. Great advice here, it’s so true! I love hiring locally once I have found someone dependable. I always ask friends for recommendations too. my father owns his own business and so does my father in law. they are well know in the community and people will call them because of the history they have with the locals before a big chain. We work with local vendors as much as we possibly can. It’s so important to support your community. Great tips. Definitely want to help the local community because the money is put back into the local community when you do. I try to shop local when I can. There is a couple great family owned restaurants that we love to eat at. I have never heard of EZBid before. I love hiring and working with local companies!! Its beneficial to both us and the places we hire! I live in a rural area with a few local businesses. I go out of my to support them before heading into the city. We shop local as much as possible in our small town. Our favorite local business is the TV and appliance shop. When they come out to repair something, they explain to us what they did if it is something we can fix ourselves next time. It’s a great service that makes us loyal customers. We try to shop local whenever we can. My favorite is our local coffee place! We try and shop local whenever we can, It does help boost the community. We have a great mechanic that is fantastic! Our favorite local business is a restaurant where the manager already knows my order before I even get to the counter. It’s funny that I say that I’m going to try something new, but then always end up going for my favorite sandwich. I am bad. I stick to giant chain stores and don’t shop local 🙁 Convenience wins for me.